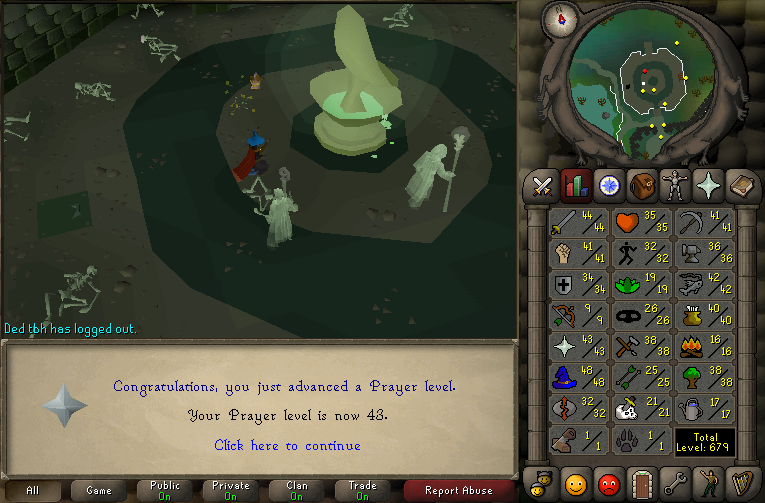 Old School RS Screenshots, Videos, and Sounds! Please post all Old School RuneScape related pictures, videos and sounds in this topic! All posts must abide by the Tip.It Forum Rules. Useless/spammy comments. You may comment on screenshots being posted but only make a reply if you have something WORTHWHILE to say. Lulcat pictures, other pointless images in response to screenshots, and comments that make no substantial contribution will not be tolerated. Flaming users in ANY WAY is unacceptable. If you don't have anything nice to say, don't say anything at all. This means no name calling, no provoking, no insulting, no accusations, no degrading of other users, etc. Even flaming friends in a joking, non-serious manner is not okay. Moderators cannot always tell when you're joking or not and we don't have time to figure it out. "Joke flaming" can also be interpreted negatively. All images and conversations MUST abide by RuneScape's Rules. 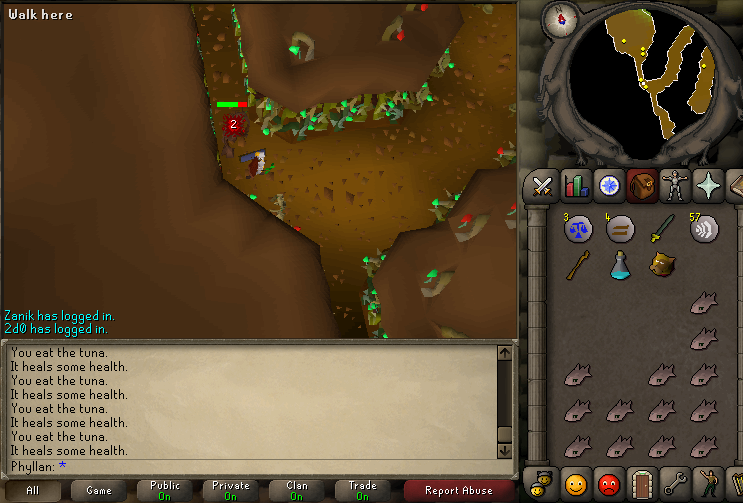 Admitting to account sharing, botting, or violating any other RuneScape Rule in a screenshot or in text is not tolerated. Inappropriate images may not be posted under any circumstances. Screenshots with any negative connotations, censor evasion or bad implications/references will not be tolerated. If you want to post a screenshot but there are inappropriate words/conversations in the chat due to the profanity filter being turned off, either edit the chat out in an image editing program (Paint, PhotoShop, etc.) or place it in hide tags with a warning. Quote chains are not permitted. If you quote an image, please put it in hide tags. If you quote a series of many quotes, remove some of the earlier quotes or put them all in hide tags. 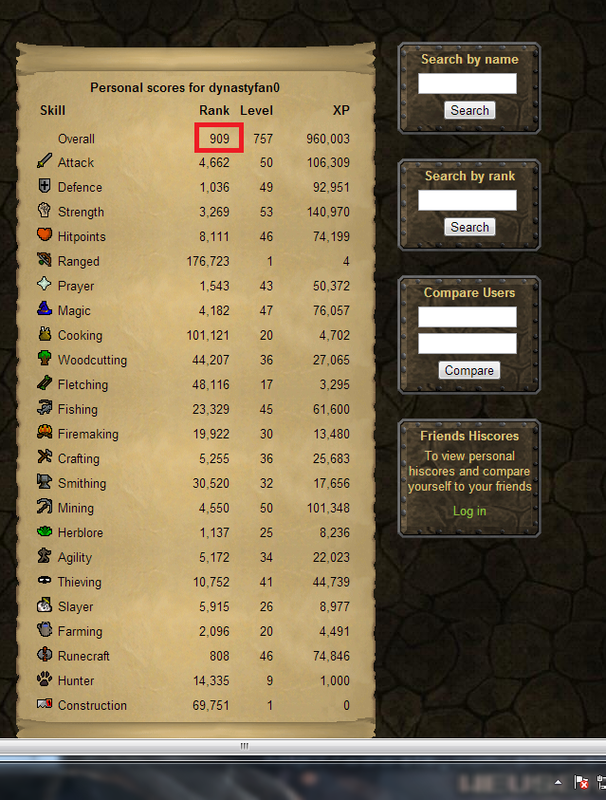 Tip.It does not support luring users into the Wilderness under false pretenses. Screenshots or videos of you doing so may not be posted anywhere on Tip.It. Please note that if you violate any of the above rules, you will not only be hurting yourself by likely receiving a temporary ban, but you will be ruining the future of this thread for others as well. Please work together to improve the quality of this sticky. If you ever see an inappropriate, rule-breaking post, DO NOT reply to it. Replying will only make the problem worse, continue the argument, and encourage any spam/flames/etc. to continue. Report the post using the Report Function and then ignore it. The moderators will deal with it and ensure that the appropriate action is taken. If you have any doubts about whether or not something is appropriate to post, DO NOT post it. You may PM a moderator or administrator to see if it is appropriate or not. 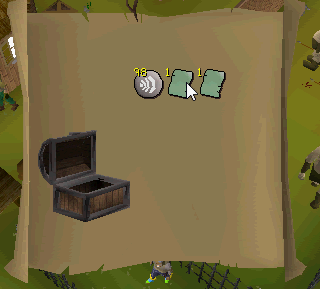 Finished my first clue scroll. Too bad Monk Robe's have a higher prayer bonus, making this vestment robes worthless. Still a cool reward. At least you can probably sell it for a decent price. You think so? I didn't even try. Seems useless to me haha. Yes, I am loving it! Got another pair of mystics and sold the one pair for 5k and the other for 6k. I managed to sell one of the iron boots I got as a drop for 10k! One more pair left if anyone is interested. 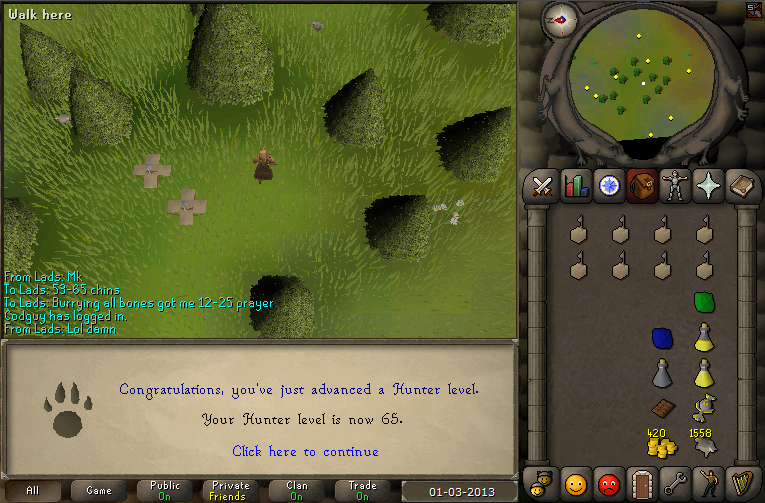 Got black gloves atm and beat dragon slayer/a lot of quests giving good exp. 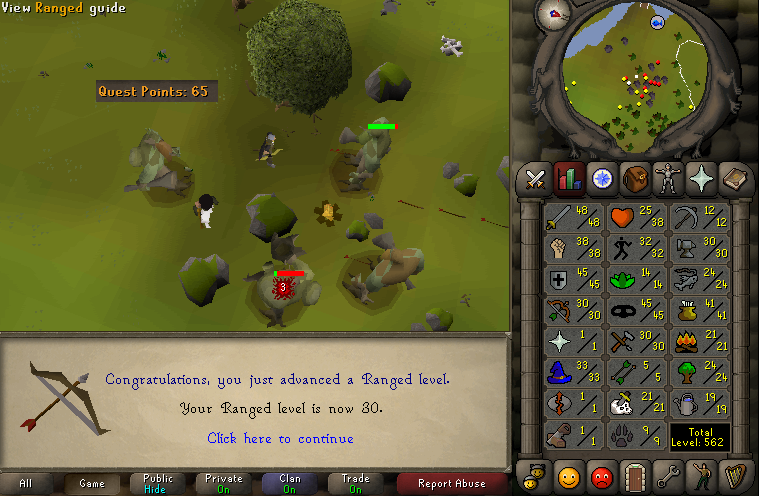 Can get mith gloves now I have 30 range :). May I ask how you beat Dragon Slayer? 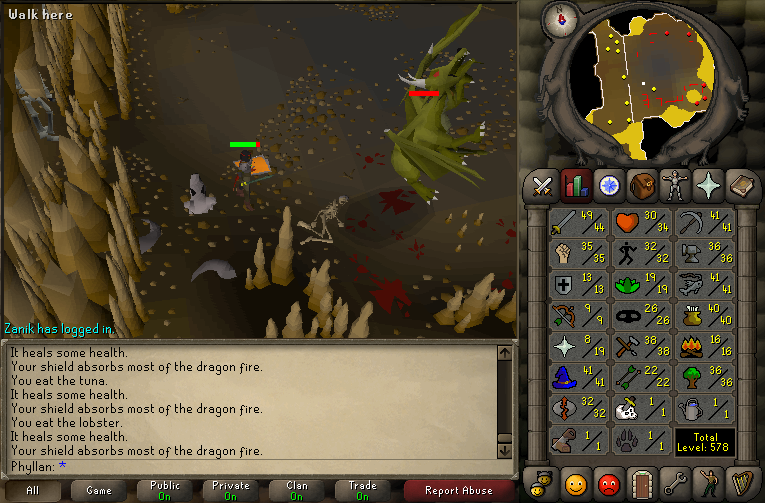 Just with a rune scimmy and some addy armor, was very close. go to around 8 minutes, the staking bit is more a joke btw for anyone interested no one actually staking much yet. 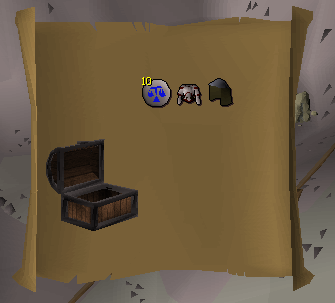 Been pretty lucky with my clues. Also got sara page which I already sold. Would be guthix though >.>, would be worth like 300k+ if zammy. Turned out to be worth about 15-20k each. Got this for them, happy with the trade. No that's cool Bruno, no need to message me. Bruno did you kill the Tanglefoot w/ 1 farming? Did it take long? This will never happen again. Feels weird and kind of makes me wonder who is playing if I can get this high without trying. Time to test my luck at magpies. At least I can get some mediocre runes for myself and some minor seeds for a friend while trying to score the big drop. If it doesn't work out, I'll be making the push for ninjas/dragons.